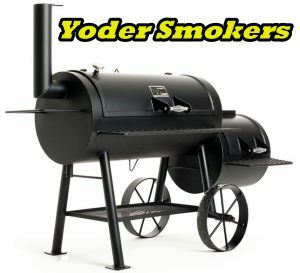 SmokingPit.com Highly Recommends Yoder Smokers. Whether your looking for a gas grill, Green Egg or a Yoder pellet fired competition grade smoker, you should visit Foothills Fireplace & Grills first. Fuels - Flavor Wood, Charcoal, Pellets etc. Foothills Fireplace & Grills - If your looking for a Puget Sound dealer with anything from gas grills, back yard smokers to full on competition rigs, I highly recommend you visit Foothills Fireplace & Grills in Black Diamond WA. I have visited many grill stores and they seem to stock and show more Spas, pools, wood stoves and fireplaces then grills. Not Foothills! They have a diverse variety of grills and smokers. Need a Green Egg, Yoder Durango, Traeger or maybe a Louisiana? They have it. If they don't have the model on the floor they can get it. They don't stop at grills and smokers. If your looking for flavored hardwood, they have a nice variety of hardwoods. They even carry Peach wood. I will be posting much more in depth information on the brands and accessories soon. If your out in the area stop on in and tell them Rob from SmokingPit.com sent you. Serving the Puget sound area. Authorized dealer of Traeger, Louisiana, Country Smokers, Weber, Yoder including Pellet fuels, wood, accessories and cookware serving Tacoma, Auburn, Enumclaw, Buckley, Puyallup, Black Diamond, Kent, Seattle and Maple Valley. Take a virtual tour with me and see why Foothills is the #1 BBQ store in Washington state. Just download then send to your Garmin via USB. Select the Foothills waypoint and "Goto"
and you will be on your way to a great grill and BBQ supply store.